As Physiotherapists we are regulated by the Health Care Professions Council (HCPC). In order to use the title Physiotherapist or Physical Therapist, practitioners must graduate from an approved course of study, typically a three-year degree program, and meet a strict set of criteria set out by the HCPC. For a Physiotherapist to be classified as a Chartered Physiotherapist they must also be a full member of the Chartered Society of Physiotherapy (CSP). 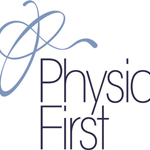 The role of the Physiotherapists is to help people affected by injury, illness or disability through movement and exercise, manual therapy, education and advice. The clinic was established over 25 years ago and until 2017 we were based in the old Hart Leisure Centre. With our move we have gained two venues, closer contacts with local GP's and access to the gym at the Elvetham hotel.